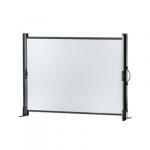 We offer a range of mobile screens for different applications. We provide the ‘classic’ tripod screen solution as well as Folding Frame screens suitable to large events. 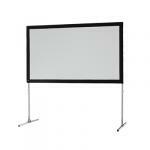 Pull up screens are an excellent solution when travelling from venue to venue is required. 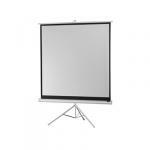 The mobile range also includes table top screens suitable to use with pico projectors. Folding Frame screens are the right choice for front-and back-projection of large images (from 2m width), mainly used for large events. 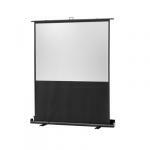 The celexon professional table top screen is compact and ideal when travelling or for the small home cinema use.